Green, leafy vegetables are a very important addition to your diet for the purpose of losing weight. Rice is also a very healthy dish with vitamins and minerals, which is why rice is a food staple in many parts of the world. The Japanese eat so much rice that their word for meal and rice are the same word, and they have the highest life expectancy in the developed world as well. You can easily make a side dish called Teriyaki Broccoli Rice which is a delicious way to add some green leafy vegetables as well as the benefits of rice to your diet. First take 1 cup of long grained rice and pour it into a microwave-able casserole dish. Add 2 cups of water, and 2 tablespoons of extra virgin olive oil. Extra virgin olive oil is also a very healthy ingredient to add to your slimming recipes. It contains a high content of monounsaturated fatty acids as well as a lot of antioxidative substances. It also helps to control the LDL cholesterol levels, also known as the bad cholesterol, and helps to raise the HDL cholesterol levels, also known as the good cholesterol. As such, extra virgin olive oil is very good for helping you to reduce your risk of cardiovascular heart disease. Add 1 cup of cut broccoli to the mixture. How small you want the broccoli to be cut depends on your taste. 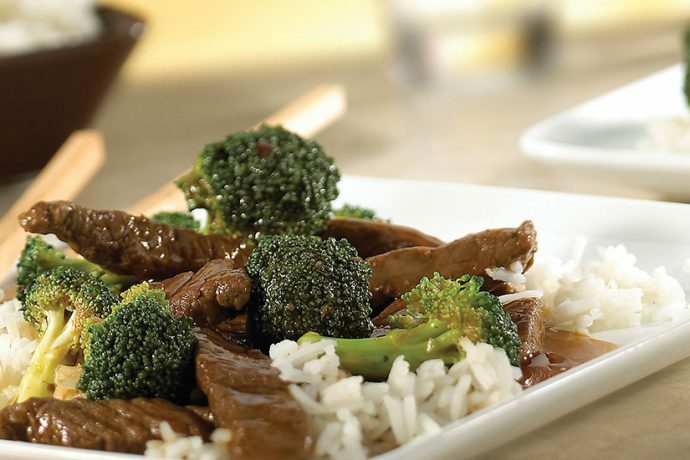 Some people prefer very small minced pieces, while others prefer having large chunks of broccoli in their food. Whatever your preference, mix all these ingredients together well and then place them in the microwave. Cook the rice on high power for 14 minutes. Microwaves will vary in power so make sure to watch and see that the dish cooks as expected. Add 9 tablespoons of a commercially available teriyaki sauce to the dish when done and mix it all together well. This slimming recipe will produce a side dish that serves 4 people. Use a slimming recipe like this one for Teriyaki Broccoli Rice in order to add a nutritious addition to your regular diet. A slimming recipe like this will help you feel good about yourself and also help you in reaching your weight loss and fitness goals. Adding extra nutrition this way will help you shed the pounds and reduce your risk of cardiovascular heart disease, not to mention diabetes and can even help you reduce your risk of cancer. Serve this recipe to your friends and family and you can make sure that you will all enjoy the benefits of this delicious and nutritious food. It is a great way to get others involved in eating healthy, and it will prove to them that getting the right food doesn’t mean eating cardboard. Knowing that there is enjoyable, tasty healthy food out there is very important for your health and wellbeing. You will feel good about yourself knowing that you’ve done something to help yourself feel good and stay healthy for years to come.